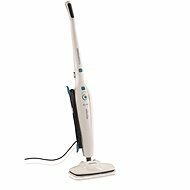 The ECG PM 3151 steam mop destroys a large number of bacteria without the use of chemicals. At the same time it greatly facilitates household cleaning and saves you time. 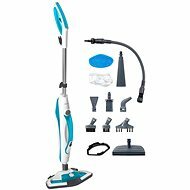 The Mop is ready to go to work within 15 seconds and can hold a long 25 minute cleaning for one filling. 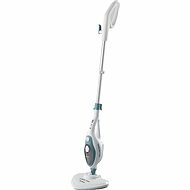 It is easy to handle - its head swivels 180° and the mop covers a large area with a 7m radius of reach. You can find the cleaning mat and the carpet attachment in the accessories. For carpets, For floors, With mop Done! For shipping to other EU countries visit this page ECG PM 3151. Für Versand nach Deutschland, besuchen Sie bitte ECG PM 3151. Chcete doručit zboží do Česka? Prohlédněte si ECG PM 3151. Chcete doručiť tovar na Slovensko? Prezrite si ECG PM 3151. Für Versand nach Österreich, besuchen Sie bitte ECG PM 3151. Magyarországra történő kiszállításért tekintse meg ezt a termékoldalt: ECG PM 3151.